When it comes to chai, we’re definitely not snobs. Hot, iced, traditional, caffeine-free — we think you should do whatever makes you feel cozy. So what makes chai the hottest thing this side of anywhere? Read on to find out. 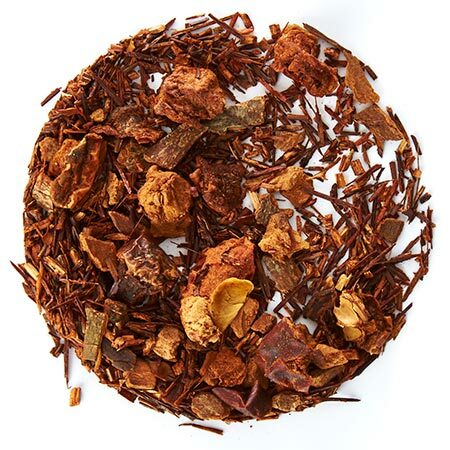 Spoiler alert: the word “chai” actually means “tea.” What we think of as chai came about when people in India started adding black tea to a traditional cleansing beverage made with a blend of spices, or “masala” — and masala chai was born. Add 1-2 Perfect Spoonfuls of chai tea to an infuser or filter and place in mug. Add 475 ml (16 oz) of hot water and let steep for 3-5 minutes. Remove infuser, sweeten to taste and add a splash of milk (if you’re into that). Add 4 Perfect Spoonfuls of chai tea and 295 ml (10 oz) of hot water to a Steeper and steep for 3-5 minutes. Whisk milk in a milk frother or small saucepan over medium-low heat. Place Steeper on top of a mug to release tea, add heated milk and top with extra froth. Steep 1-2 Perfect Spoonfuls of chai tea and 295 ml (10 oz) of hot water in a Steeper for 3-5 minutes. Fill a 16 oz glass with ice and place Steeper on top to release tea. Sweeten to taste with agave and add a splash of milk if you’re feeling wild. 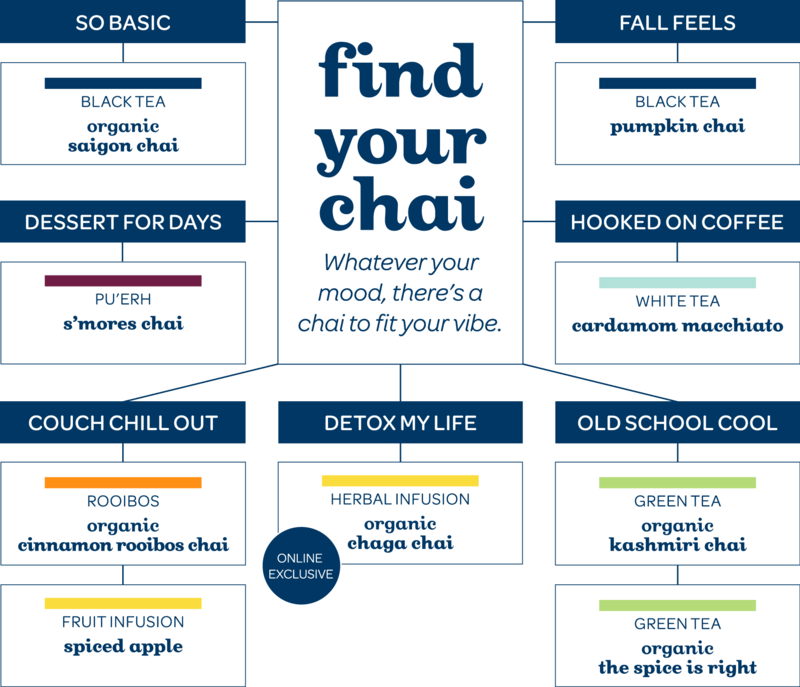 Whether you love your chai iced, hot or as a sweet and spicy latte, there’s truly a chai for every mood. Gooey toasted marshmallows, graham crackers, dark chocolate — it’s no wonder we live for s’mores. 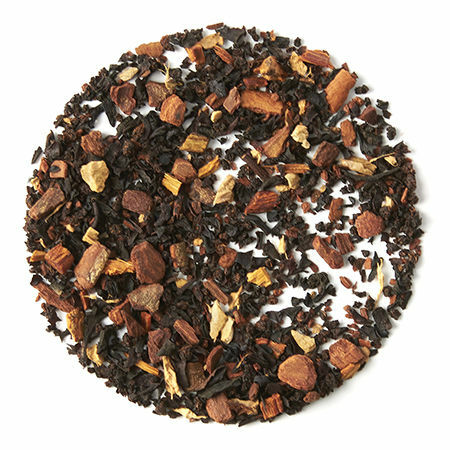 This tempting pu’erh adds an extra dash of cinnamon to the campfire classic. This autumn treat has it all. Cinnamon and cloves, plus the sweetness of caramel and pumpkin candy. Turkish coffee lovers, meet your new obsession — a deep and mellow white and black tea spiked with cardamom, coffee beans and a smooth dollop of cream. 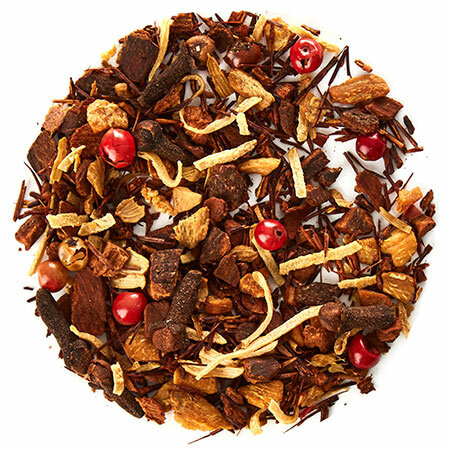 With rich cacao, cinnamon, ginger and chaga — the world’s most magical mushroom — this spicy herbal detox tea is our new fave way to purify. 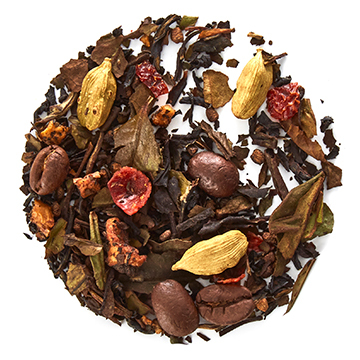 If you're into spice-based chais, this exotic blend is for you. With cinnamon, ginger, cardamom and coconut, it's the kind of thing you get addicted to. Cinnamon is so much more than just the tastiest spice around. It has a clean and refreshing taste your breath will thank you for. 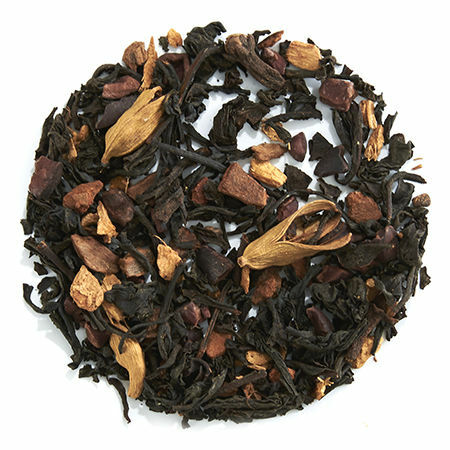 A rich, spiced black tea with a deliciously creamy hint of vanilla. 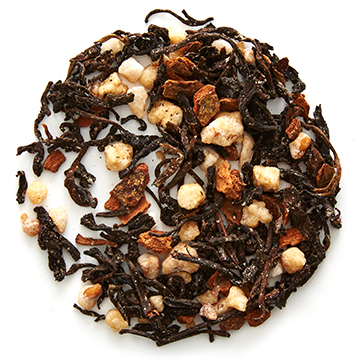 Get decadent with this creamy blend of black tea, warm spices and rich white chocolate. Whatever your mood, there's a chai to fit your vibe. Like closely guarded family recipes, every chai blend is unique. That signature flavour comes from infinitely reinvent-able combinations of warming spices like cinnamon, cloves, cardamom, ginger and fennel, which not only taste amazing, but also have amazing health benefits. We’re talking detox, digestion and dessert in one delicious latte. Ready to spice things up? 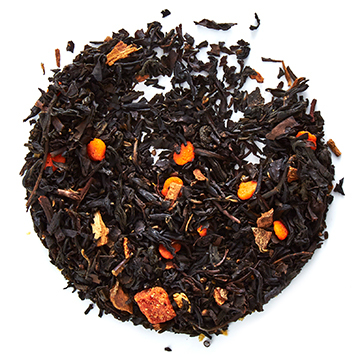 Sip your way through our chais and you’ll discover not just classic black teas like organic Saigon Chai and fall fave Pumpkin Chai (only here once a year! 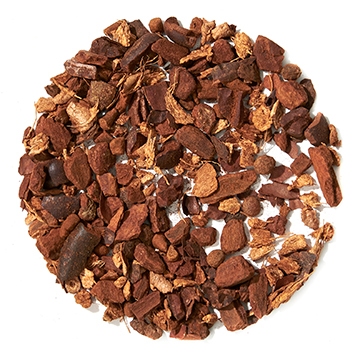 ), but also caffeine-free blends like Coco Chai Rooibos, organic green chais like The Spice is Right — even rich pu’erhs like our bestselling S’mores Chai. It’s time to live the chai life, baby.